Monument Canyon comes alive at sunrise as first light begins to filter into the deep valley. 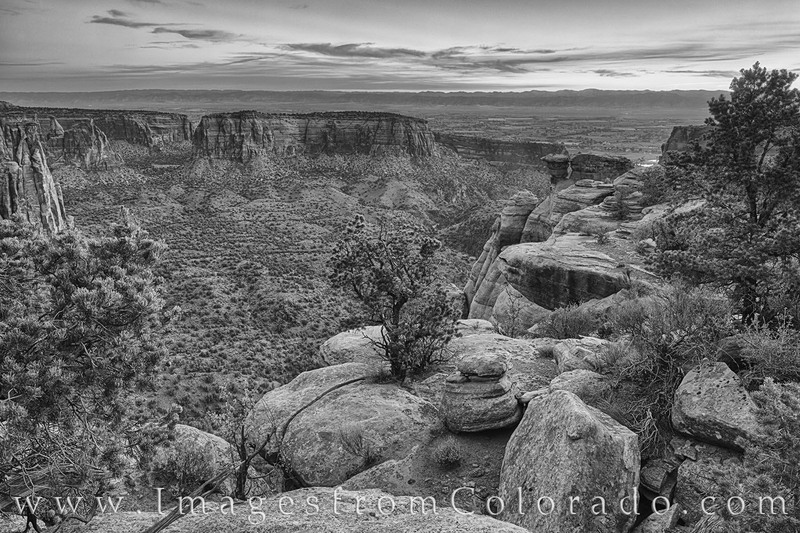 This black and white photograph comes from Colorado National Monument, just west of Grand Junction. Rim Rock Road runs 22 miles through this park, winding and turning from one amazing view to another. Photo © copyright by Rob Greebon.